May hoped her stature as only the UK's second female prime minister, after Margaret Thatcher, would give her an edge in the vote. With exit polls showing she is due to lose her overall majority in the UK Parliament, May can only hope early predictions are wrong. Ahead of the results coming in June 9, she is staring in the face of defeat, having called an election she was sure she would win with a landslide victory. 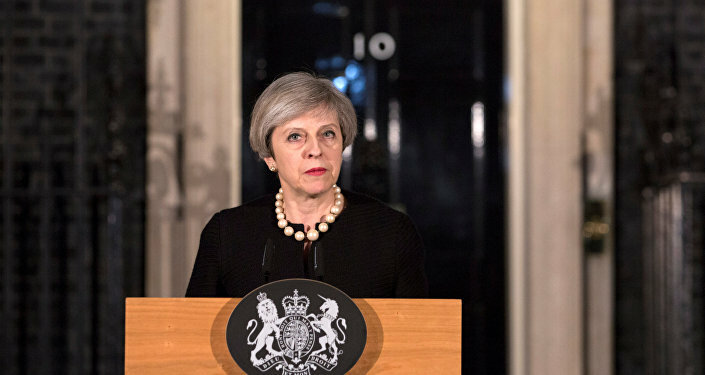 She inherited the role of prime minister after her predecessor, David Cameron, made the wrong call over the UK referendum on staying in the European Union. With May perhaps following in his footsteps, the nation is waiting to see if she too erred in going to the public for a stronger mandate to take to Brussels in hopes of striking a better deal with the EU. If the exit polls are right, she, too, has made the wrong call. Cameron took the decision to hold a referendum on Britain's membership in the European Union, confident he could lead the debate, win backing from Brussels and keep the UK safely inside the EU. He had negotiated a series of agreements with his EU partners, including the "emergency brake" deal to limit access to in-work benefits for new EU immigrants, confirmation that the UK would not seek "ever closer union" and the non-discrimination of countries not in the Eurozone. He lost the referendum, and Britain voted to leave the EU. May, with only a working majority of 17 in the House of Commons, tried a similar trick to try to bolster her majority ahead of the difficult divorce her predecessor's error had made inevitable. When she called the election, May had a 24-point advantage in opinion polls and was seen as sure to secure a landslide victory. However, in the weeks that preceded the June 8 election, she lost her advantage. She refused to take part in head-to-head debates on British TV with her opponents and was forced to make a humiliating U-turn on a manifesto pledge over elderly care, which managed to upset many within her own party. Now she sits awaiting the result and wondering whether the call she made for the UK to back a "strong and stable" prime minister is looking as foolish as Cameron's promise to deliver a result that would leave Britain better off in the EU.